As a small business, you know how important it is to establish your brand as compassionate and caring. Operating your company as a contributing member of the community is a great way to show your customers that you’re not just in it to make a quick buck. Many businesses make donations to local charities and provide sponsorships for youth sports teams in town, so why not try something different to show customers you care? Dec.1 marks World AIDS Awareness Day, and promoting health and wellness around this debilitating condition can establish your brand. AIDS can be a sensitive subject , so it’s important that you pick the right custom promotional products for your message and your consumers. 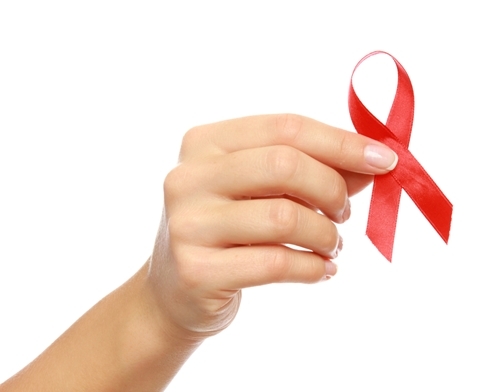 Learn how you can help your community and your business this World AIDS Awareness Day. A condition that attacks the body’s ability to fight off infection and stay healthy, AIDS stands for acquired immune deficiency syndrome. Global AIDS outreach firm AVERT explained that, while AIDS may be the condition, human immunodeficiency virus is the cause. HIV can be transmitted by a variety of ways, but direct contact with bodily fluids is the most common. Once infected with HIV, patients may or may not develop AIDS, the active form of the condition. Without a strong immune system, people are in grave danger of developing small infections that their bodies cannot stop. According to the U.S. Department of Health and Human Services, more than 1 million Americans live with HIV, though almost 16 percent are not aware that they carry the virus. Every year, another 50,000 people contract the disease. HIV/AIDS was first discovered in the 1980s, and while there’s no known cure, medical science has made great strides toward controlling the condition. If you want to use your small business to help, raising awareness about HIV/AIDS can be the best thing possible. Every popular cause has a particular design or look associated with it, and the HIV/AIDS awareness movement has adopted the color red as a trademark signature of products and services associated with helping medical research or patients with the condition. Simple products dyed red take on a whole new meaning on World AIDS Awareness Day, and promotional giveaways like the Hanes® Beefy-T® 100% Cotton T-Shirt – Screen Printed can combine a compassionate message with your company’s information. If you can associate your brand with progress on HIV/AIDS research, consumers may be more likely to turn to your products or services when the time is right. You’ll also want to draw customers into the store to give your great promotional products away, though. AIDS.gov explained that, even though the condition may be a sensitive subject for some and difficult to talk about, there are still ways to broach the topic for real success. AIDS.gov recommended holding a cultural or faith-based event with speeches from and discussions led by leaders in the local community. Communicate how HIV/AIDS has impacted your town in particular, and invite elected officials to share stories about what the government is doing to help. People may be reluctant to talk about the disease, but seeing your business promoting awareness with cleverly designed giveaways and a comprehensively planned events can get them talking. Consumers want to equate the brands they like with the causes they support, and aligning your brand with HIV/AIDS can be a tremendous boost to your business’ reputation. Plan an event, hand out promotional giveaways and watch how your customers react to your company’s larger role in helping the community prosper.